Payvand.com - A group of people described as "students from different Iranian universities" by Press TV gathered in front of Swiss Embassy in Tehran on Saturday to voice support for the protesters in Europe and the United States. 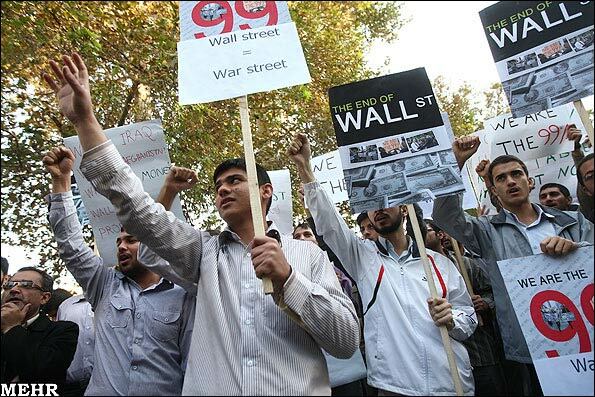 According to Press TV, during the gathering, students condemned policies employed by the United States and some other Western countries to prevent the people's awakening. 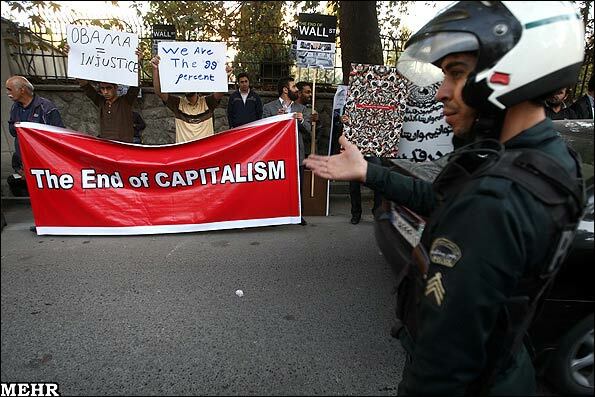 Protesters held placards condemning wrong economic, social, and political policies of the West. 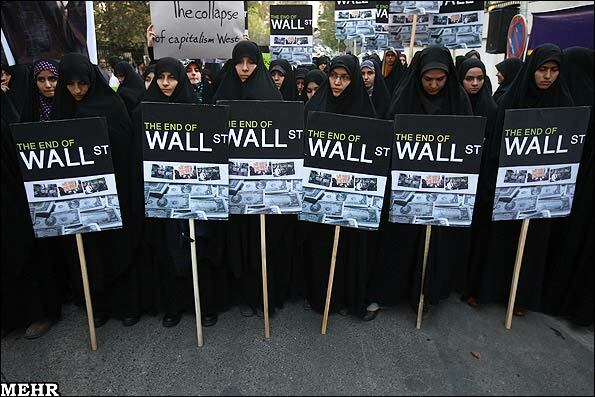 They also shouted slogans against the US government and Capitalism as a sign of support for the Occupy Wall Street movement. 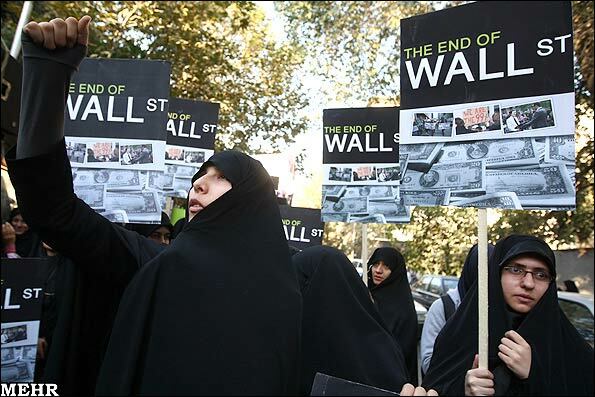 While these protests are portrayed as spontaneous and by "students from several Iranian universities," in reality, these are planned and orchestrated by pro-regime groups such as Basij (an arm of the Revolutionary Guards). 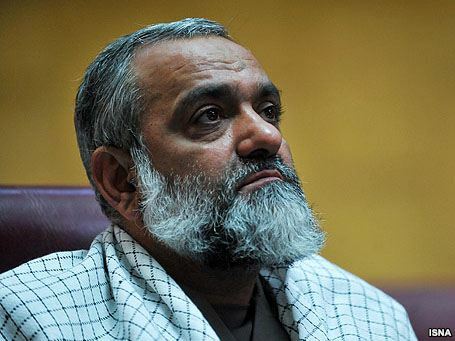 Basij played the leading role in suppressing the peaceful opposition protests after June 2009 presidential elections and continues to act as one of the key elements of regime security infrastructure. 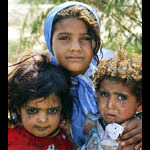 The Basij (literally "Mobilization") is a paramilitary volunteer militia founded by the order of the Ayatollah Khomeini in November 1979. 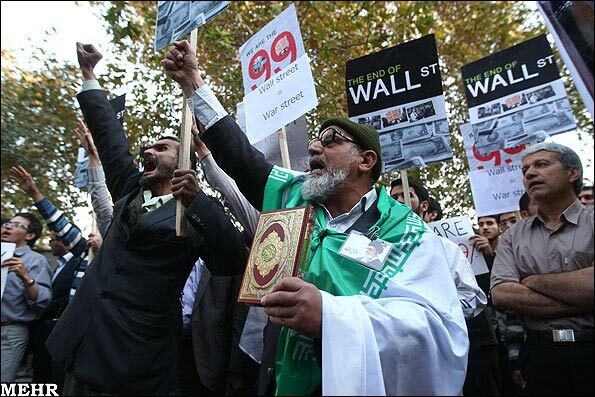 The Basij are now under the command of the Iranian Revolutionary Guards and current Supreme Leader Ayatollah Khamenei. 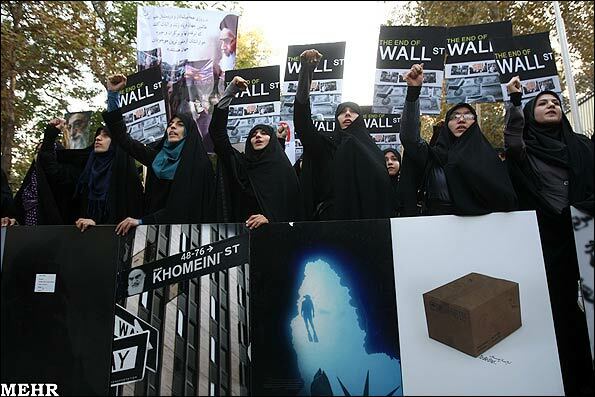 Consisting of young Iranians who volunteer to join this force, often in exchange for official benefits, the Basij are most notable for their loyalty to the supreme leader Khamenei. 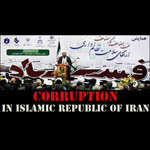 Currently Basij serve as an auxiliary force engaged in activities such as internal security as well as law enforcement auxiliary, the providing of social service, organizing of public religious ceremonies, and more famously morals policing and the suppression of dissident gatherings. 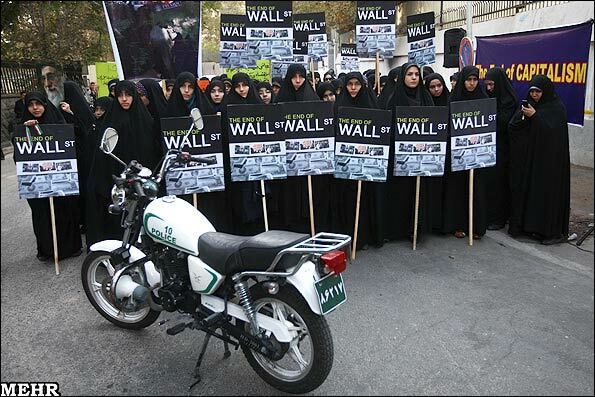 They have a local organization in almost every city in Iran. 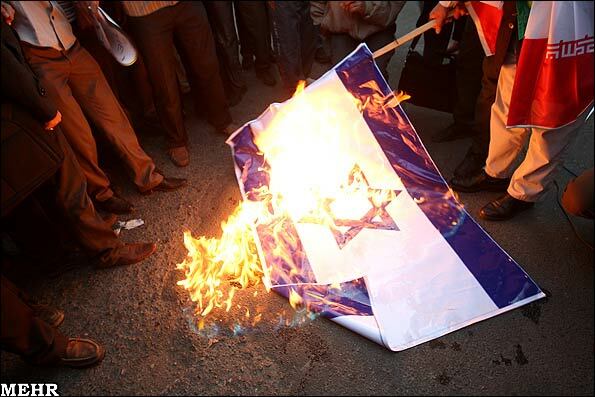 They have a record of involvement in many cases of human rights abuses. The brutal suppression and attack on the protesters resulted in many deaths and thousands of arrests. 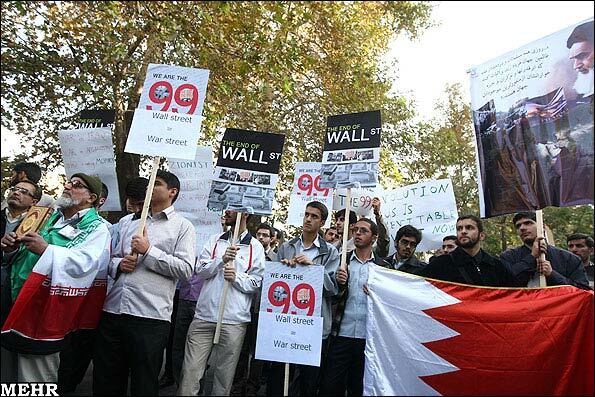 Some of the imprisoned protesters died while in detention when they were subjected to torture and harsh treatments. 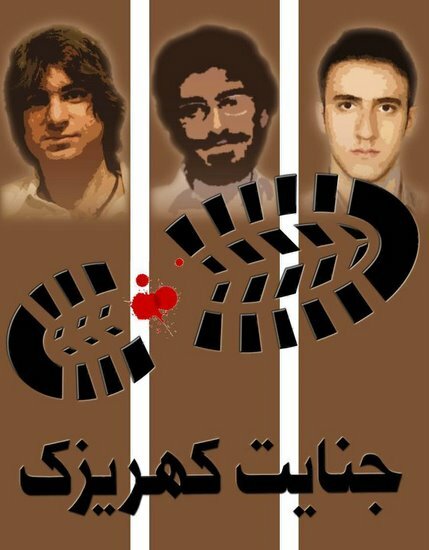 The deaths in Kahrizak were acknowledged by the regime, and even investigations were launched and court hearings were held on these brutal crimes. 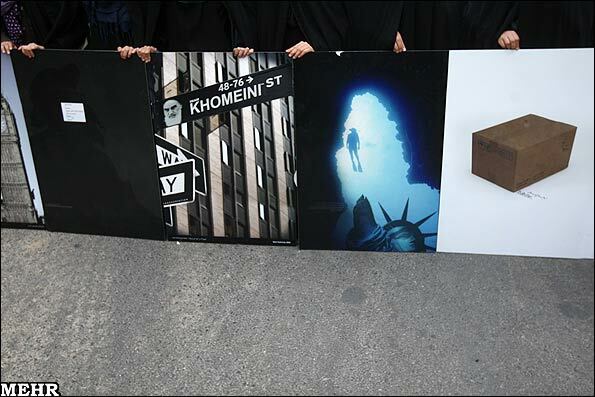 However, like similar cases in the past, there has been no outcome, and the Iranian public does not expect anyone to be brought to justice for these crimes! 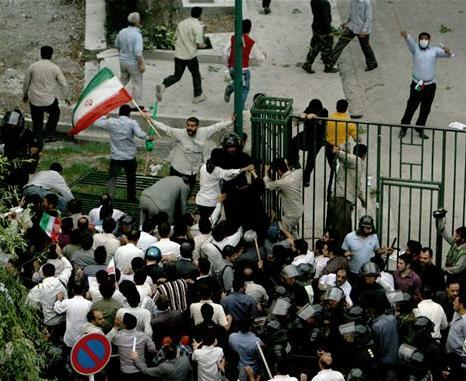 Basij militia attacking University of Tehran - June 2009. 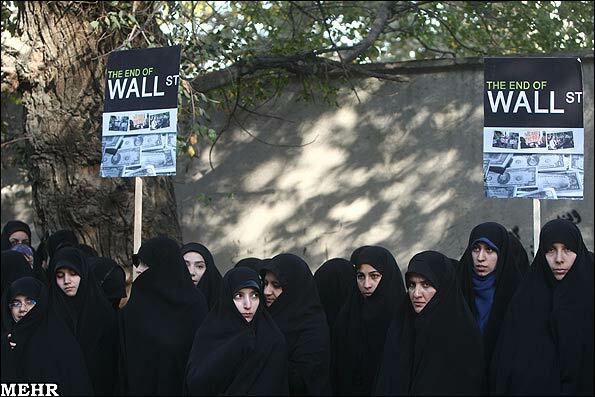 Many Iranian students have been put in jail or barred from attending school just for voicing their demands or even opinions by writing a blog. 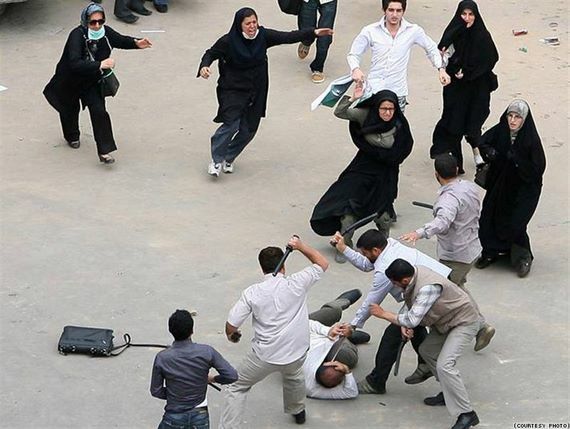 And to date the attack on the Iranian students and universities continue, in many shapes and forms including purging of staff and students, moving towards gender segregation or eliminating some of the social studies and humanities courses (this has been mentioned as one of the reasons for strong anti-regime sentiments among the students). 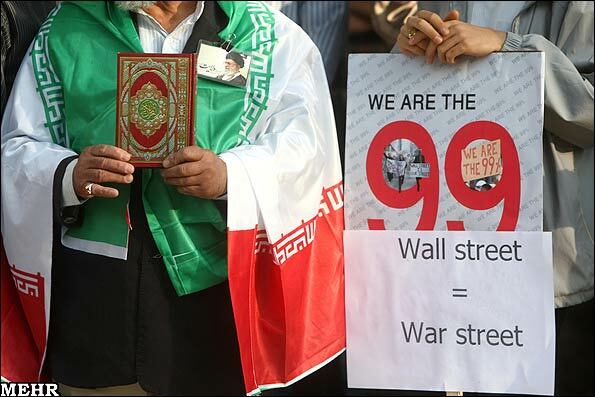 While the Iranian regime claims to support Occupy Wall Street movement, and while the regime's officials have repeatedly condemned U.S. government and police for mistreating the protesters, one wonders how will Iranians be treated if they attempt to erect even one tent in one of the squares of Tehran or other cities? Wonder no more. The ever present Basij militia will tear the tent, if not the occupiers, to pieces with no hesitation and in a matter of minutes! Also, while the Iranian regime continues with chest thumping for the U.S. protesters, it has placed the Iranian opposition leaders under house-arrest. 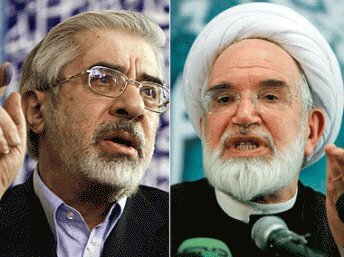 Mir Hossein Mousavi and Mehdi Karroubi have been completely cut off from the outside world since February 2011, ironically when they called for public demonstrations in support of the uprisings in Arab countries! And, not surprisingly, the chest thumping doesn't extend to the opposition forces in Syria where over 2000 protesters have been killed by the Syrian security forces. 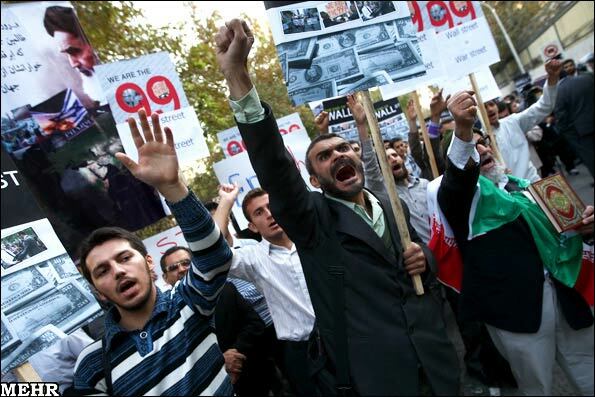 There has been no serious condemnation of Syria, and not even one protest against the Syrian brutal oppression has been held in Iran. 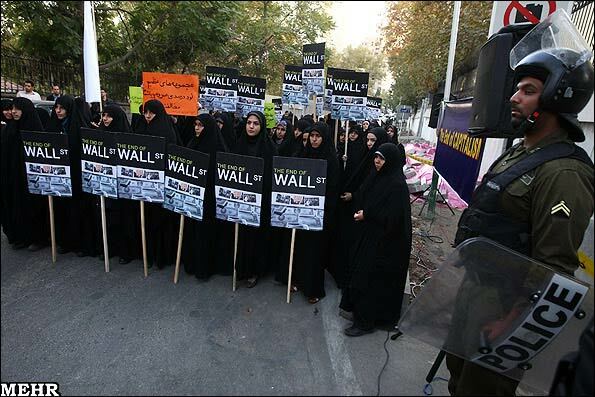 At the same time, and as part of the political theatrical, numerous protests have been held in Iran to condemn suppression of opposition protests in Bahrain. 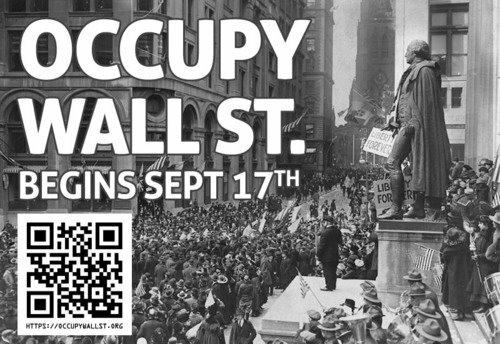 Certainly the peaceful Occupy Wall Street protesters should enjoy full freedom in advocating their cause, and any mistreatment of them deserves strong condemnation by freedom-loving people. 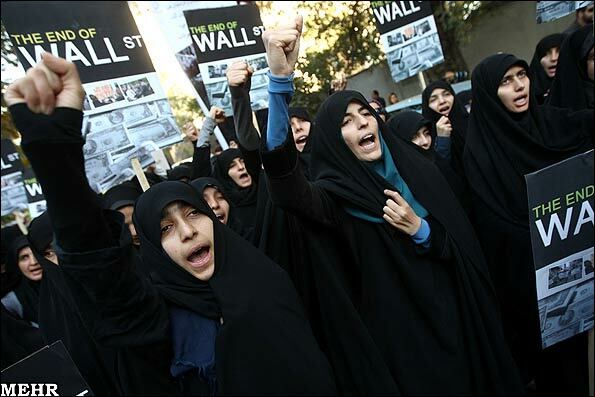 But the Basij is no freedom-loving militia, and in fact it has been formed for exactly the purpose of restricting Iranians, socially and politically, and suppressing their aspirations for freedom! 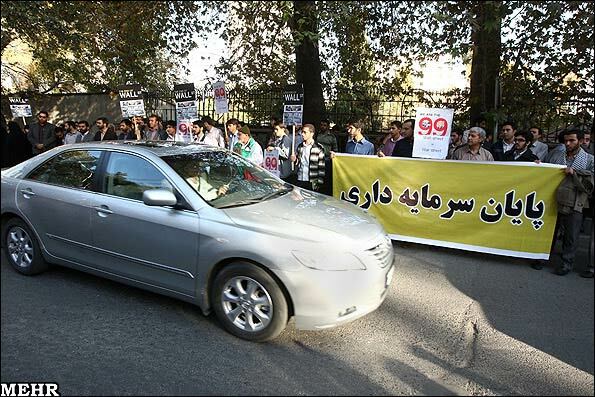 Where is Iranian Activist Kouhyar Goudarzi?